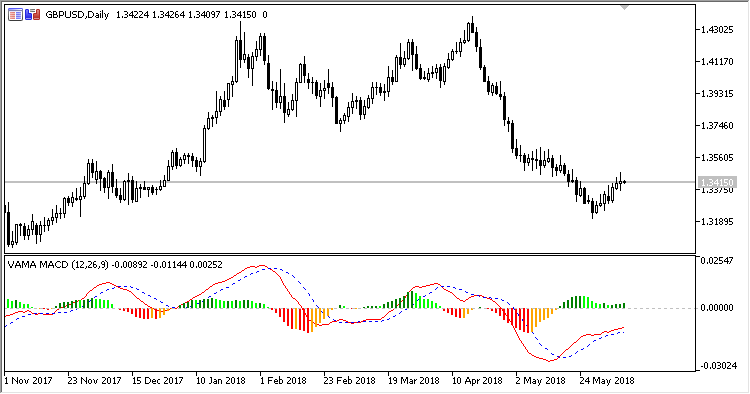 Oscillator VAMA_MACD (Volume Adjusted MA MACD) is an MACD, in which Volume Adjusted Moving Average (VAMA) is used for smoothing. To calculate the VAMA, contract price is used, which is divided by the total volume over a period of time. Applied price - price used for calculations. SV - sum of volumes over the Signal line period.